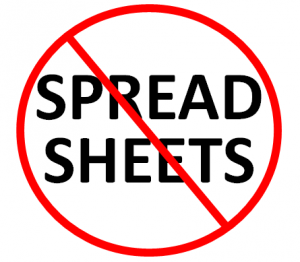 On the surface, spreadsheets appear to be an easy method of recipe costing and inventory control, but as many business owners have told us it is in fact “death by a thousand spreadsheets”. Setting up a spreadsheet for recipe costing and inventory control takes countless hours of formatting, linking spreadsheets and correcting mathematical formulas. It makes much more sense to condense all your spreadsheets into once complete easy to use solution – Optimum Control Restaurant Management Software. Optimum Control uses a simple set up process and ensures that you can easily maintain the software without needing to be a computer expert or mathematician. Optimum Control also allows you to integrate to your Point of Sale and accounting software which means no more double entry. Rather than spending hours inputting your invoices into a spreadsheet, Optimum Control Invoice Import Module allows you to electronically import those invoices in seconds. 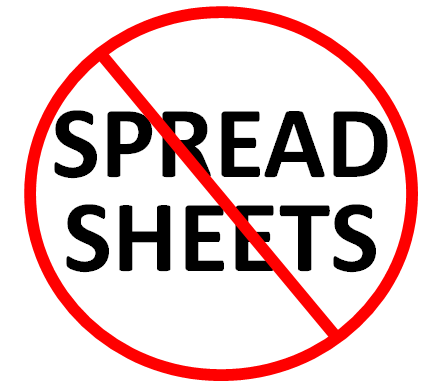 Most spreadsheets fail to give you detailed and filtered reports whereas with Optimum Control you have over 70 Reports available with everything from Sales Mix and Theoretical vs Actual Usage to Profit and Loss. Pairing that with dedicated support, advice and training along the way you are guaranteed to be overjoyed when you say “goodbye” to spreadsheets forever. What are you waiting for download a free trial of Optimum Control today.